Disposable Food & Cake Containers | Wow Plastics Inc.
A full line of high quality disposable cake domes, pie trays, deli containers and hinged shells that will display your goods and treats for any occasion. A versatile mix of food containers with lids that can transport your food for take out or large events that need plenty of stacking and handling. A complete range of categories including multi compartments for full lunch portions, deep tray cake domes for any syrups or sauces to stay locked in, plenty of deli containers for salads and fruits, double compartment trays for nachos and condiments, hinged sandwich shells, log cakes, cookie trays, muffin trays, mini portions cups and much more. Wow Plastics’ Cake Domes, Clam Shells, Round Containers, Nacho Trays, and Salad Bowls are made with 100% post-consumer plastic and meet the Green Restaurant Association’s rigorous product certification standards. 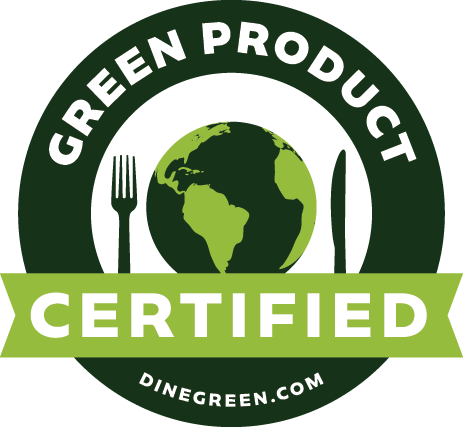 These products have been vetted for their environmental accuracy and can earn a restaurant 2.5 GreenPoints™ towards becoming a Certified Green Restaurant®. Click on logo to learn more.